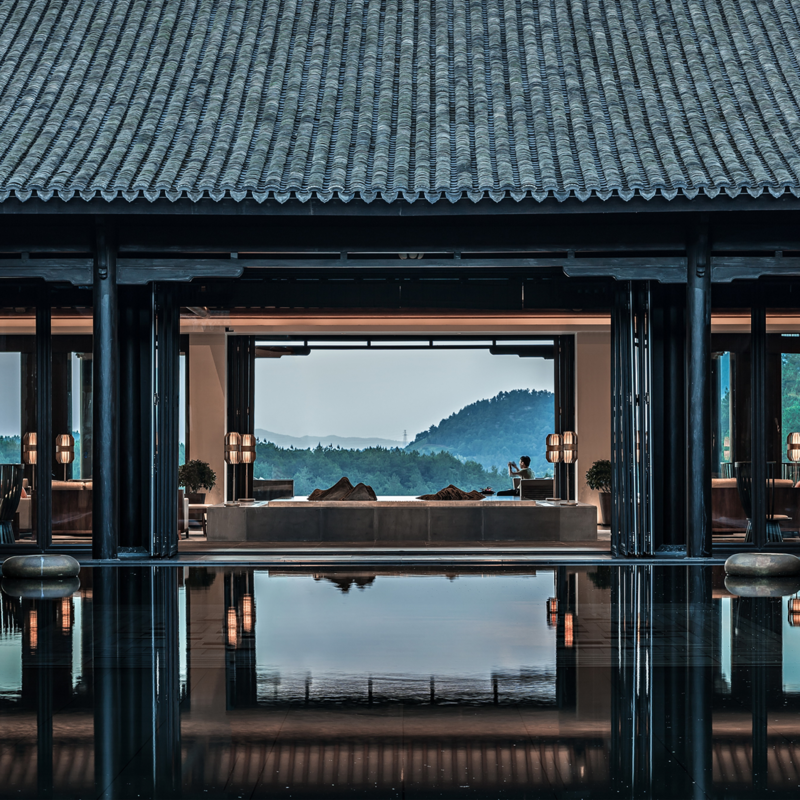 Located inside a mountainous bamboo forest and with a view to a lake, the Banyan Tree Resort blends traditional Chinese architecture with contemporary hotel amenities. The interior design compliments the traditional pitched roof structure and recreated a pitched wooden ceiling below which the functions of entry foyer, reception, lobby lounge and a library are organized around a central courtyard with a reflecting pond. Visually the spaces are connected and extended into the landscape, while functionally they each takes on a separate identity by the use of soft furnishings and space planning. Overall a simple material palette of a dark stone flooring, wooden wall panels and ceiling, and rice paper wall screens create a zen simplicity. The design is also complimented with a Chinese restaurant in the same material palette.